He will appeal to the powers that be to insist the Dubs team bus has an NCT, believing it will fail on the basis of too much use of the hand-brake. Looks like Aido will be obsessed with denying the drive for five. Any ideas what he might come up with …? Impersonate DC and try to get into the Dublin panel? Has he heard of the Clones result, I wonder? He’s been on the piss all day because of it! Shamie and me were just talking on New Year’s Day about how this could be our year and then this song came on the radio and the fella kept saying ‘19’ – well he had a bit of a stutter so it was more like nnnn – 19 …. nnnn – 19. But Shamie said it was a sign. He was singing about being exposed to hostile fire. We reckoned that was Dean Rock and Dermo. I miss Dermo but more anon. 19 was always my favourite number because I wanted to be a teenager forever - long before Drake did. 19 saw so many of my life milestones. Went into town on my own - 19. Got my first kiss (other than Mammy lol) – 19. Completed 50 piece jigsaw puzzle – 19. Broke 20 seconds for the 100 metres – 19, and best of all, made the local under 15 rugby team – at 19. Daddy said it must be significant because I was 19 stone when I was born. Mammy stared at him and said she preferred carrying me for nine months than him all her life and we all laughed – except Daddy. The new manager doesn’t want us to put any pressure on ourselves though. He said what will be will be and then Cillian and Diarmuid started singing ‘Ce Sera, Sera’ but soon stopped when the gaffer threw a GPS at them – and he didn’t miss. He wants us to go out and express ourselves so we had a private team meeting and we all agreed to buy into this - so we booked elocution lessons for everyone. 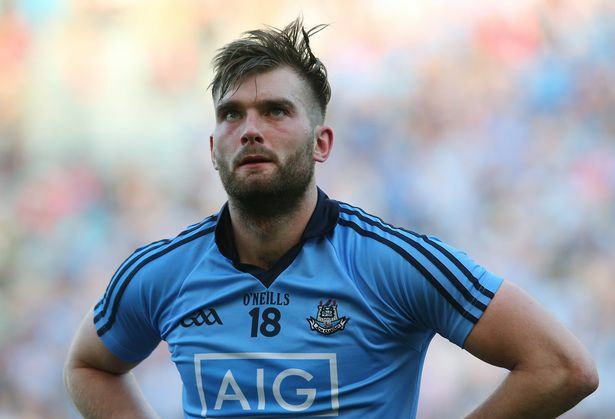 At team meetings Leeroy used to keep asking ‘what would Dublin be doing right now?’ But when Kev Mc said ‘swimming in the Bahamas’ Leeroy went very quiet and hasn’t mentioned it since. Speaking of Dublin, I see they are still getting all the money. Some lad on Newstalk said they were getting €1m each and €798 for each club member if they win Sam again. We were amazed but then at the end we realised it was that funny fella that they have on from abroad who knows nothing and they get him to pretend he knows everything. He’s such a laugh. It’s like having Stephen R on talking about polishing silverware. Daddy always said empty vessels make the most noise and he’s right though Mammy says she sometimes can’t hear herself think because of him. She’s great. The League is going very well. James is picking the team himself – at the moment. He got in a few transition year students and they won a couple of games, but only against Roscommon and Tyrone, hardly giants of the game. Boyler loves the farming and he calls them lads the ‘Spring fodder and Summer bench warmers’. I played at 11 against Tyrone myself. Back to the playmaker role I love. A man once told me I was the missing link and I firmly believe that. Or was it the weakest link? I can’t remember. Anyway I met the Tyrone twitter lad on the way in to Healy Park and he wanted a selfie with me. He told me it was for a bet so I told him if he stuck me down for a score at some stage I’d do it. I didn’t see the rabbits ears though – the fecker. Anyway he put me down for a point in the second half but I didn’t get away with it. So I ended up scoring the exact same as in all my All Ireland final appearances. On the way up to Tyrone Donie was winding up the young lads that they’d need sterling if they wanted to buy anything - and I think they believed him. He’s gas. The Reape lad was wondering where the hard border might be – me and Evan were in stitches. They were talking about Brexit like it was anything to do with Ireland. Jesus what do they teach young lads these days. I straightened them out – and was glad of the elocution lessons. ‘Brexit’ I said, ‘means British exit, so over there, across yonder blue Irish Sea’. They were mortified but all the older lads cheered. The win against Roscommon was savage. My hair was absolutely in bits. I can’t recall worse hair conditions in my whole career. If I tell you that Mammy came into the dressing room tunnel with gel after the warm up you’ll get some idea. At one stage Rob soloed the ball over his head to a Roscommon lad. Mind you that happens when it’s calm too. But we won and more importantly I kept up my non-scoring streak. Next up is Cavan. I had to google them to see where they were. I actually thought a rich Sheikh had bought some county and renamed them and got them ‘promoted’ with a few bob. But Daddy said they have a rich history. He said if we won half as much as Cavan in the 50s we’d have to play until 2034. Conor did pass Junior Cert Maths and even he was confused. And now we hear Dermo might be returning. I really hope not because if he wants his jersey back I’ll have no pyjamas. I’ll never forget the day he warmed up in the sleeveless top. I never saw biceps on biceps before. Maybe he’ll give me that top as a swop. We are down to play Dublin in Croke Park the week after next. I love neutral venues. I am so looking forward to it because we never got there last year. Mayo needs Croke Park just as much as it needs Croagh Patrick. I was hoping the game would be on Sunday because then we could do the Skyline tour and even the museum. Mammy was raging because she has a family pass from Groupon. And apparently they have a programme from when Mayo last won Sam there and Daddy says it’s in Latin but we’ll have to put it all the touring on hold. Sure we’ll be back there for the League final and at least three other games this year. The signs keep coming. I came across this great tune called ‘Ain’t No Stoppin’ Us Now’ on Mayo Top Chart Hits last week. The tune is from the 70s but peaking here now. It’s a disco number and we play it on the bus all the time. It’s another sign that this is our year. When Mammy went to book Centre Parcs for the family holiday for late August-early September last week we told her we would be otherwise occupied. Only a fool would pass up four days in Longford without very good reason. Ain’t no stoppin’ us now - stopping the drive for five! Aido seen in his bedroom lifting one of mammy’s flower pots. Practicing for 31 March apparently. We were amazed but then at the end we realised it was that funny fella that they have on from abroad who knows nothing and they get him to pretend he knows everything. He’s such a laugh. Practicing for 31 March apparently. It’s the day before April Fools Day. And the Div 1 League Final. Yeah, but putting them in front of a framed picture of Jim Gavin is fine. Any chance of Aido’s thoughts on the game ?